What are the benefits of enrolling in the Pre-Owned Program? Your customers will receive a Free 3-Month All Access Trial Subscription including over 150 channels of our best programming in the car. They’ll also receive 3-months free with streaming on the SiriusXM app or online - Over a $75 value. Complete the SiriusXM Pre-Owned Program online enrollment form authorizing your Preferred Data Source Provider to securely transmit the VIN and Customer Contact information to SiriusXM. If you have questions about this program or need help with enrollment, please contact your Regional Manager or send us an email at: SXMDealerPrograms@siriusxm.com. What is the process after my dealership is enrolled? We’ll get your dealership set up to send the VIN and Customer Contact Information from your DMS to SiriusXM. You may receive a call or an email to authorize this program to complete your dealership's activation. Upon the receipt of the inventory record, each eligible vehicle will automatically be set up with Demo Service. CDK Data Services, Inc. will receive the data from your Dealer Management System on behalf of SiriusXM. For RR ERA DMS dealers only, the information will be transmitted via the Reynolds Certified Interface (RCI) process. When can I begin activating the Demo Service? To inquire about the activation status of your dealership, contact our partners at CDK Data Services Inc. by phone at 1-855-587-6062 or Reynolds by phone at 1-800-767-0080 or send us an email: SXMDealerPrograms@siriusxm.com. When can I start offering my customers their complimentary 3-Month All Access Trial Subscription? Once you receive your Welcome Kit, you can tell your customers that they’re receiving a free 3-Month SiriusXM All Access Trial subscription. We recommend activating the Demo Service prior to delivery, so that customers will drive off the lot able to listen to their SiriusXM trial. Don’t forget to tell them that they’ll also receive a free 3-month trial to listen on their smartphone, tablet and computer so they can listen to SiriusXM everywhere. Can I give complimentary 3-Month All Access Trial Subscriptions to customers who purchased a vehicle prior to participating in the Pre-Owned Program? 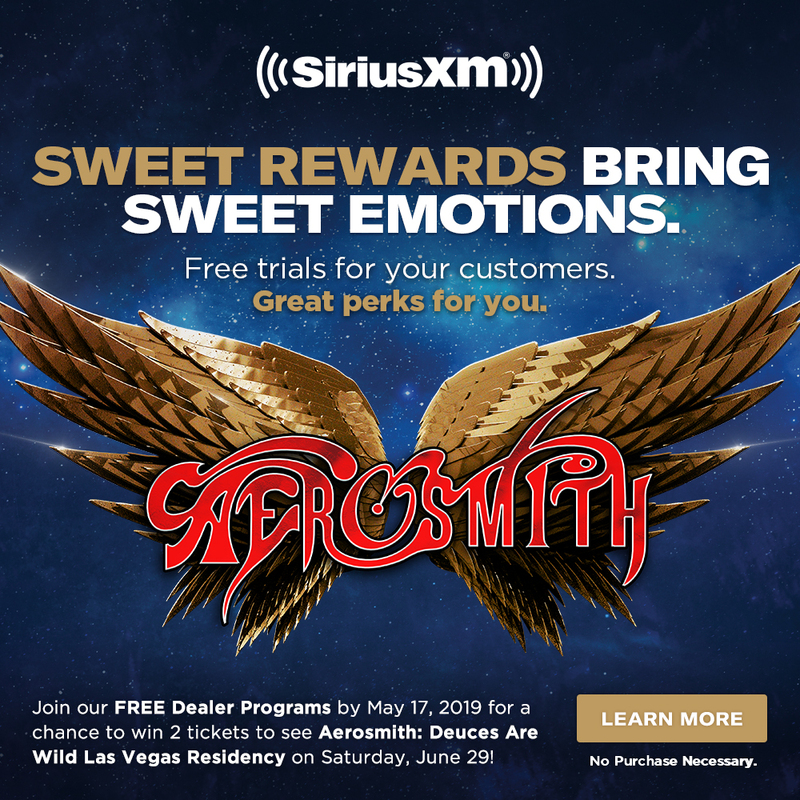 As an added benefit of the Program, customers purchasing vehicles, dating back to 30 days prior to enrollment, may be eligible to receive the complimentary 3-Month All Access Trial Subscription from SiriusXM. These customers will receive notification of their free trial from SiriusXM. Will all Pre-Owned vehicles receive a complimentary 3-Month All Access Trial Subscription? Yes, your entire Pre-Owned inventory of factory-installed SiriusXM vehicles, regardless of manufacturer will receive SiriusXM Demo Service and a free 3-month trial. Please note complete and accurate VIN and Customer Contact information is required. If, on the rare occasion, your dealership encounters radio activation issues, please know that our SiriusXM Dealer Support Agents are available to help. If a radio does not activate after using the Improved SiriusXM Dealer App, please contact SiriusXM Dealer Support at 1-800-852-9696, and they will be happy to assist. If you have questions about this program or need help with enrollment, please contact your Regional Manager or send us an email at SXMDealerPrograms@siriusxm.com. Surprise and delight your eligible customers after their service visit with a free 2-Month Trial of Sirius or XM All Access package with over 150 channels, including commercial-free music plus sports, news, talk and entertainment in the car, plus access on smartphone, tablet and computer* - Over $55 value! Best of all no cost to your dealership or to your customers! Complete the SiriusXM Service Lane Program online enrollment form authorizing your Preferred Data Source Provider to securely transmit service records from your DMS to SiriusXM. If you have questions about this program or need help with enrollment, please or email us at: SXMDealerPrograms@siriusxm.com. SiriusXM will deliver the benefits of this Program at no cost to Dealers. How will SiriusXM know which vehicles and customers are eligible for a SiriusXM trial subscription after a Service visit? Vehicles must have factory-installed satellite radio and determined eligible by SiriusXM. What happens after we enroll our dealership? 1. We’ll get your dealership set up to send service records from your DMS. You may receive a call or an email to authorize this program to complete your dealership’s activation. 2. We’ll send you an email to let you know that your dealership is active. 3. That’s it! Everything else is handled by SiriusXM. We will notify the eligible customers and activate their complimentary trial. Once your dealership is enrolled in the Service Lane Program and activated, nothing else is required from your dealership. SiriusXM will notify the eligible customers that they have received the trial along with instructions on how to activate the service. No dealership promotions, activations or notifications to customers are necessary. Within a few weeks following a Service visit to your dealership. Customers may simply opt-out of SiriusXM mail or email communications via the same process used for new or Pre-Owned vehicle purchases. Your customer will not be notified of their complimentary Service Lane trial subscription by telephone. By calling SiriusXM Customer Care at 1-877-447-0011, your customer may request to be added to the “Do Not Call” list. If you have questions about this program or need help with enrollment, email us at SXMDealerPrograms@siriusxm.com. You can also contact your SiriusXM Regional Manager. Contact details can be found in Help and Support. What are the benefits of enrolling in the Customer Assurance Program? As with the Pre-Owned and Service Lane Programs, we’ll get your dealership set up to send the VIN and Customer Contact Information to SiriusXM. You may receive a call or an email to authorize this program to complete your dealership's activation. Upon the receipt of the new vehicle sold record, SiriusXM will ensure that all the communications and benefits that come with the trial are being sent to your customer. What are the benefits of enrolling in the Dealership Beats? Not interested in streaming SiriusXM on your device? Special $49 offer for SiriusXM Internet Grace Player is available for participating Dealerships. Obtain your unique promo code and click on the shop link provided in the program Welcome Email. If I’m unable to refresh a radio, who should I contact? If, on the rare occasion, your dealership encounters radio refresh issues where you can't hear SiriusXM, our SiriusXM Dealer Support Agents are available to help. If a radio does not refresh after using the Improved SiriusXM Dealer App, please contact SiriusXM Dealer Support at 1-800-852-9696, and they will be happy to assist.